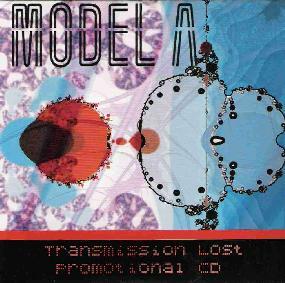 Model A - "Transmission Lost"
Model A is a California band and this is their second release. The CD is thick with sound and sometimes hard driving, nearly space rock material, and other times more laid back. The band consists of space guitars, programming, bass, drums and voice. The singer, Brandon, reminds me a bit of the guy from MUSE. A bit too high pitched for my tastes but this is popular in commercial music so I can understand the appeal. The opening song, The Wasted Line, is a great evolving number which highlights all the elements of the band. Chimera is next and focuses on the melodic singing of Brandon. Well, I guess all the songs do. The bands music seems further behind the voice on this track than others. The band create a very full wall of sound but your attention is mostly drawn to the voice. While the guitar rocks, I was distracted by the 80’s synth pop lead line. Ugh... Rest Assured has a heavy and deep bass line to start things off but quickly disappears and fades back in and out. A very cool effect. Excellent song. We All Die Young starts very mellow and is a more ballad type song to start but really goes. The track ends with some spaced out synth sounds and bells and stuff. Telling is a slower number with strummed guitar and a building theme, like most of their songs. The guitar sound is quite special on this track. The CD closes with Le Berceau du Bonheur a rather dreamy number. In the bio the band are compared to Massive Attack, Spacemen 3 and Radiohead. While I can hear some of these bands, the band do have a unique take on music. I just don’t care for this style of vocal and never have. That is my bias and takes nothing away from the power the band has. Should be a great live band as they have a major light show and do some improvisation. For more information you can visit the Modelmusic web site at: http://www.modelmusic.com. Contact via snail mail c/o Model A; 3300 Whitney Ave; Sacramento, CA 95821.